Prevent injury or help with rehabilitation. Maximize your mobility — our experienced and skilled team of Certified Technicians will design and fabricate a custom orthotic to best suits your needs. 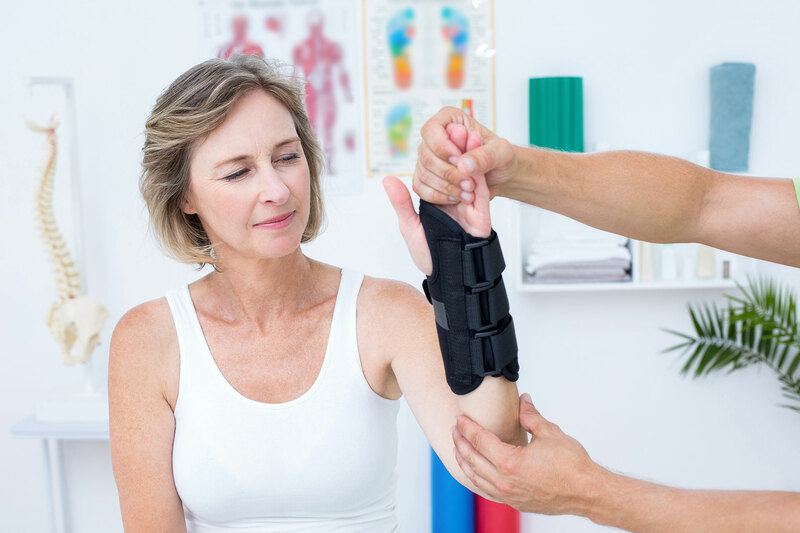 Orthotic bracing can be used for pain management, to prevent the risk of injury or re-injury, and post-operatively to maintain the position of a joint or body segment or to control movement about a joint. Braces for the upper body can be custom fit off-the-shelf or in-house custom-made braces, including devices for shoulder injuries all the way to wrist-hand complex injuries and thumb support. Lower body injuries or diseases, whether acute or chronic, can dramatically influence an individual’s mood, self-perception, and functional activity level. Orthotic bracing can be used for pain management, to prevent the risk of injury or re-injury, to maintain the position of a joint or body segment, or to control movement about a joint. Lower extremity orthoses can be worn beneath clothing, worn at night (night splints), or worn for certain activities. Successful orthotic intervention requires thorough education about the use of the brace(s) and frequent follow-up with the patient’s orthotist as well as the referring practitioner. This ensures that patients continue to benefit from the use of the device. It’s a good idea to come 10-15 minutes before your first appointment to carefully fill out your health history form. Want to save time? Print and complete the form before you arrive. Your initial assessment appointment is your first chance to meet your orthotist. If you have a prescription, be sure to bring it along. At this appointment, we will discuss relevant medical history, talk about your specific goals and expectations, and perform a comprehensive physical assessment. We have a variety of sample braces available so you will be able to see or try out different orthoses that meet your specific needs. Your orthotist will answer any questions you may have in order to provide the best treatment possible. Please dress appropriately and bring shorts if the orthosis is for your knee. If you are a candidate for orthotic intervention, limb capture will occur during your initial assessment and can involve measurements, casting or 3D scanning. Depending on the type of orthosis prescribed, you may receive funding through the Alberta Aids to Daily Living progam. Specific criteria needs to met in order to receive this funding and not everybody will qualify. Your orthotist will discuss if you qualify or can explain what needs to happen in order to be eligible. If you do not qualify for any government funding, there is a chance your orthosis could be covered by private health insurance. While we do not direct bill, we are happy to provide you with an insurance estimate letter to submit to your private insurance. We do not charge for the initial assessment appointment.